The overnight snowstorm that continues today has caused a dozen accidents and brought down trees and wires across the county, reports Rob O’Brien, Otsego County 911 director. In Oneonta, city police have begun ticketing cars parked on streets, and reminds drivers if cars must be towed, owners must pay the cost. 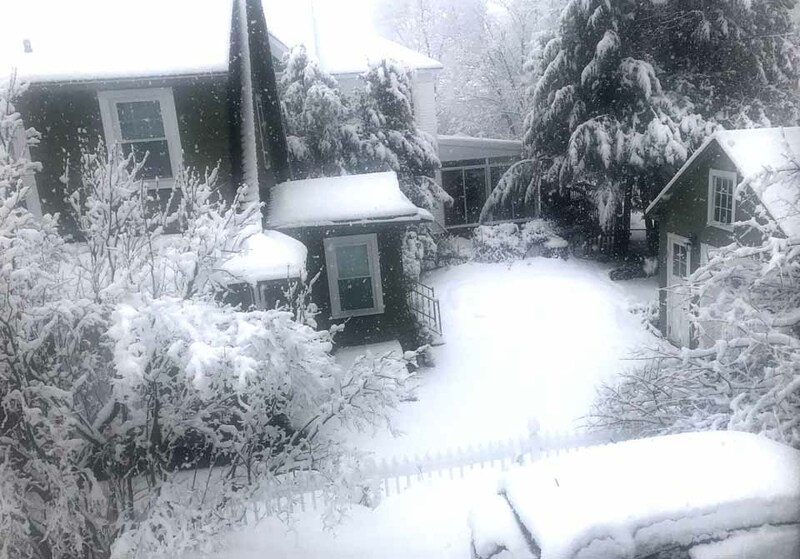 In Cooperstown, Village DPW Superintendent Mitch Hotaling declared a snow emergency that began at 10 a.m. and continue until noon Saturday. Parking is prohibited on village streets, and is available in the Doubleday Field Parking Lot. Milford Mayor Brian Pokorny has also declared a snow emergency in that village through noon tomorrow. There were a dozen accidents overnight, with ten more reported this morning. He said no serious injuries have been reported. In Oneonta, on-street parking is subject to ticketing, but the parking regulations in the Munciple Parking Garage or city-owned lots have been lifted, according to a message sent out by the city this morning.